This is my first sweater. I have made it using needle size 4mm. I have learned many things during working this sweater. I have learned invisible seaming , cable cast on, making one row buttonhole , picot bind-off. I have seamed it using invisible seaming not just the shoulders seaming, but sides, and sleeves too. 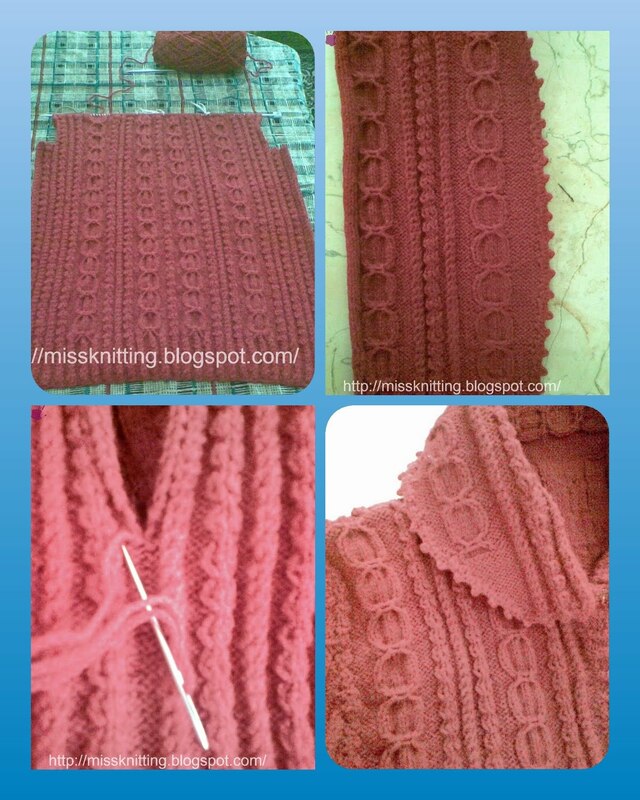 I am so slow knitter LOL I have spent more than 2 months doing this sweater. I made it for myself as a gift because I have passed the exam , and want to give myself a special gift with thrill too. I was so afraid to wearing it, and discover it is not good as I think. I actually love it, it is so beautiful-in my own opinion of course LOL.